The word Peninsula is derived from the latin “Pene,” meaning almost and “insula” meaning island. A portion of land nearly surrounded by water and connected with a larger body,also a piece of land jutting out into water. Also called a bi land or by-land a piece of land that is bordered by water on 3 sides but connected to the mainland by a “isthmus,” an isthmus is a strip of land connecting two larger areas usually with water on either side. Most people think of Spain and Portugal they share the Iberian Peninsula, something that some are familiar through the historical goings on and the reporting of them by the Peninsula 200 group the battle tours etc. I have not gone all agricultural on you or architectural, however i must say how clever the architect or architects were to design a Peninsula at Peninsula Barracks. How ironic that the Peninsula is built on the same land that some years ago unearthed bodies which were thought to be Spanish prisoners or even French prisoners who had sadly died of some hideous disease. Its in the history books. Now as for the bi land or byland again how ironic two pieces of land with a Peninsula bang smack in the middle of Peninsula barracks, after all you have the divide, the military side where the museum is and the residential side where the private entity begins..
Two lands but connected by the water, which is still, but runs deep. 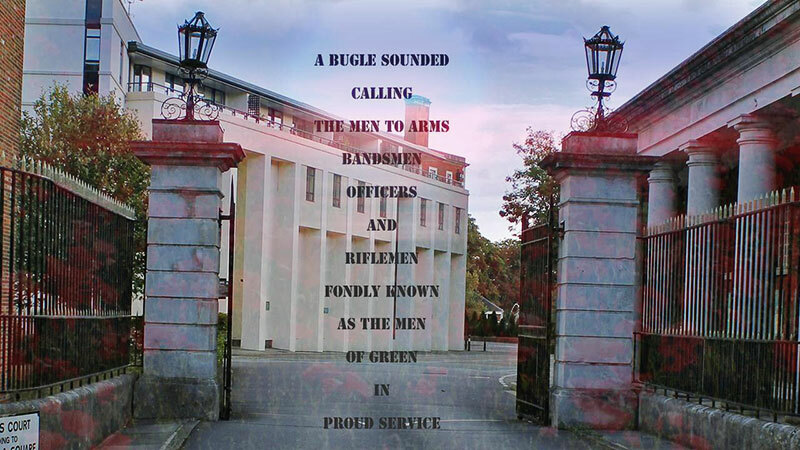 Our Peninsula as in the ancestral home of the family of green is standing proud for all to see and has stood the test of time as have the men who loyally served and wore the cap badge with the word Peninsula on it. Some would have liked it to be an island,alone from everything else, but even those that sold it could not achieve that, as it is still home to some and will always be regarded as home to the Green Jackets and the antecedent Regiments not forgetting the Royal Green Jackets. The above is not just a reference made by those who trained there, but also by those in the community of Winchester, never more evident than the recent signing of the military covenant, a covenant between the County Council and the military which recognises the input and commitment of both parties the civilian community and the military in Winchester the ancestral ties and the new allegiances. Our Peninsula, could be regarded as the island that man forgot, almost like the regiments that have no tribute at home , therefore with the placing of two chairs it brings it home, that we will not let our Peninsula be almost alone as an island, never has a Green Jacket or family member of green stood alone we do not stand in, we stand with, with our brothers proud as the battle honour of Peninsula. The peninsula campaign which incidentally next year has its 200 anniversary, again something which has been in our planning and timing of the unveiling of two chairs along with its relevance in history, taking into account the battle honours of our antecedent regiments , was not a stand alone campaign it was not fought almost alone it was fought by men who believed in their capabilities and strength of character and tactical strengths our strong antecedent regiments, where no man is an island. These strengths have been passed down to their successors and used to secure victory another point in history which was at the front of our planning for the two chairs , the 100th anniversary of the great war, where many a battle honour and decoration was awarded particularly the Victoria crosses. The regimental losses over the 4 year campaign 1914-1918 were high, but never the less those that remained fought hard with the hope that they would return serving with the finest regiments.They must be honoured,and remembered at home. In July some will return to their Peninsula, a trip down memory lane ,remembering comrades and stepping where once men of yesteryear marched out to war, their Peninsula is indeed ironically a mass of water in the form of a pond and water feature,splitting military and civilian areas.The trees representing the soldiers as was the idea of the architects and agricultural landscapers. However it must be said that those that return,are as loyal today as the day they put on their Green berets with their military cap badge adorned with the word Peninsula, the honour that so proudly is worn by the family of Green, will not and do not leave Peninsula barracks, “Pene,” almost “insula” island, as an island cut off from the rest, instead they embrace it , reminiscing about the parade square/ground that is now marked almost as an island. If you stop and think hard and remember, YOU will conjure up memories which are now stories of yesteryear to tell the children and grand children the future, generations. 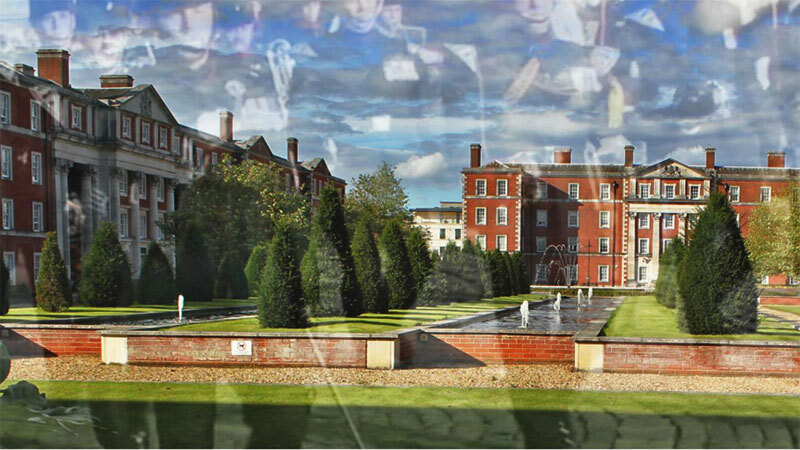 Each building surrounding the Peninsula, will raise a memory and if you go and stand near the water feature, you will almost certainly hear the Bugle Major and the Bandmaster and the sound of marching feet , the sound of history.This was your parade ground, the heart of your Regiments history. This is our history , men made the history, lest we forget, what of tomorrow, tell them of us, when you go home, speak of us. Home for some is high on a hill at the F.R.V, none of us are getting any younger. Who will tell our history in the future?. Some will say we have armistice day, but unless we educate the young and pay tribute to those that earned the honour Peninsula, and those that wore it on their beret,and those that helped weave the illustrious history, then the men of yesteryear as recent as yesterday that have gone before will remain almost as an island, alone and forgotten. It is for us to claim our Peninsula by leaving a lasting tribute to showcase our history, and not to leave our ancestral home to be remembered for the new architectural and agricultural design of landscapers and those that get rich out of selling our souls of yesteryear. 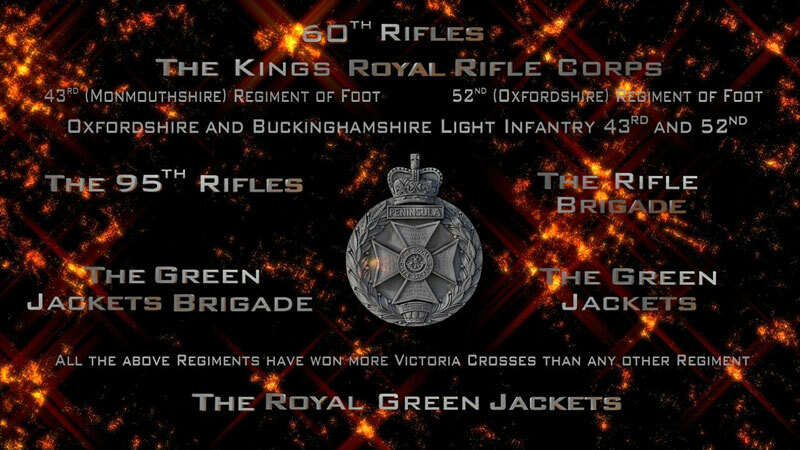 This is our history our honour and our heritage i ask you to remember this as you walk through the gates, remember once a soldier always a soldier or to be more precise once a rifleman always a rifleman. Take into account that next year is the 100th anniversary of the Great war, where are antecedent regiments were awarded so many honours and v.c’s and that next year is also the 200 th anniversary of the Peninsula campaign, which showcases a history which is remembered on the whole, glamorised by Sharpes t.v series but in reality belongs to us our greater family of green. We have simplified our project in that we are placing two chairs with simple wording and cap badges that were worn by the finest and represent the campaign honours and those that fought so proud and hard and gave so much. Both chairs are unique in purpose one is a tribute chair to the Green Jackets, and the Royal Green Jackets. The other is a memorial chair remembering all who gave whilst serving with our antecedent regiments, the Green Jackets ,The Royal Green jackets and our successors the Rifles one family of green our full family tree, so show casing history, from the beginning to the end, taking into account those that re-badged and died whilst in service, they must be remembered as the main of their service would have been as a Royal Green Jacket. These chairs whilst being placed outside the museum will form a quiet place to sit and reflect on times gone past of training and the calling to arms in a place which used to be home, our Peninsula.The by-land, which is still military. Do not let Pene be almost Insula an island, reclaim it by supporting the tribute and remembering those that served and gave so much whilst wearing the battle honour which is also the name of the ancestral home of so many of the family of green, Peninsula Barracks Winchester ,let your support form a legacy as rich as the history which was made by you and those of yesteryear.